Jhon Boyega’s film screening in Nigeria brought in lots of celebrities and stars who came to cheer him up on his achievement. The star war actor launched his first movie he produced himself as he plans to contribute immensely to the Nollywood industry. Music artiste D’banj, his wife and son were spotted among celebrities who came for the film screening. 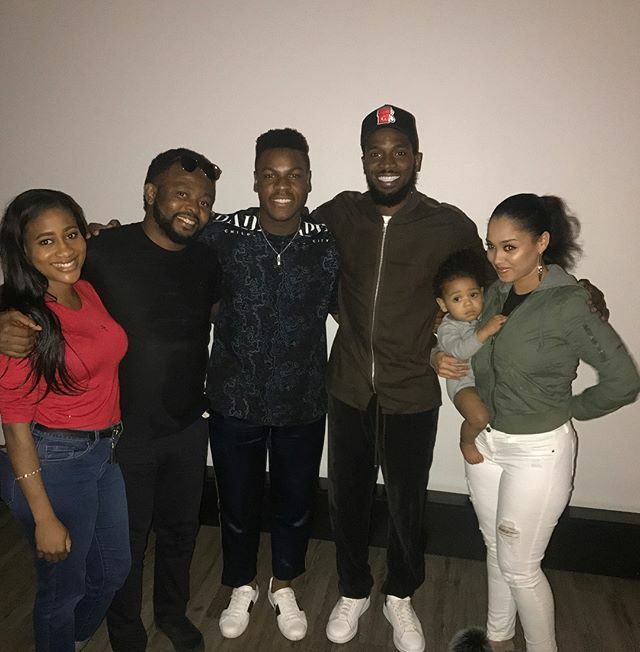 D’banj took to his Instagram to share pictures from the event as he congratulated John Boyega, wishing him well on his big project. D’banj who is super proud of John, excitedly wrote he can’t wait for him to produce a super HollyNollywood movie.